Common Sunflowers (Helianthus annuus) can be found growing at the edges of fields and desert washes here in Tucson, and these somewhat weedy plants have large, happy-looking flowers that are very popular with butterflies. 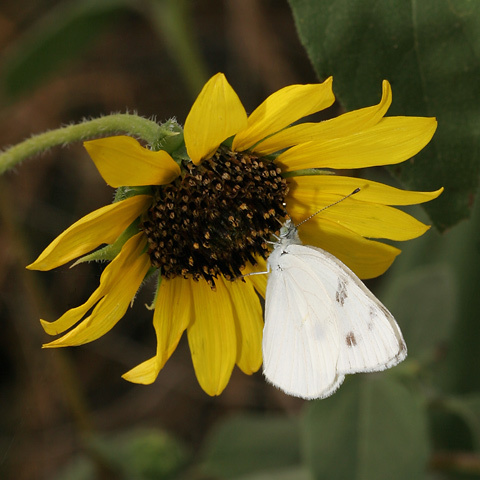 I observed this male Checkered White (Pontia protodice) butterfly sipping nectar from a Common Sunflower this last October. Male Checkered White butterflies like this one can be identified by the broad, faded black cell bar on their forewings and their white ventral hindwings. 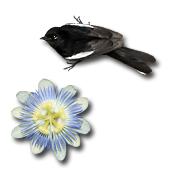 Female Checkered White Butterflies (not pictured) are much more strongly patterned or checkered than the mostly white males, and the females look very similar to Western White (Pontia occidentalis) butterflies, but have slightly paler markings. 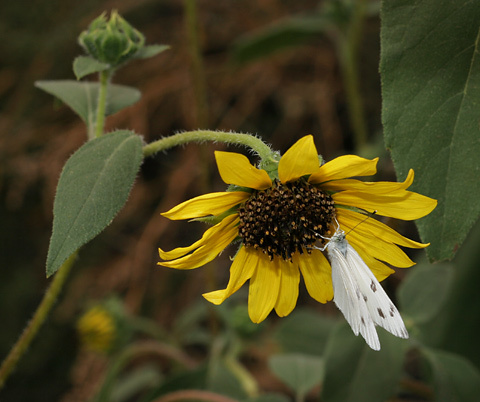 Checkered White caterpillars feed on plants in the Mustard Family (Brassicaceae) and Caper Family (Capparaceae).